This project is so simple. Yet it makes me smile every time I walk by it. And I wonder why I’ve never done this before?? Maybe you’ve been doing it for years…. 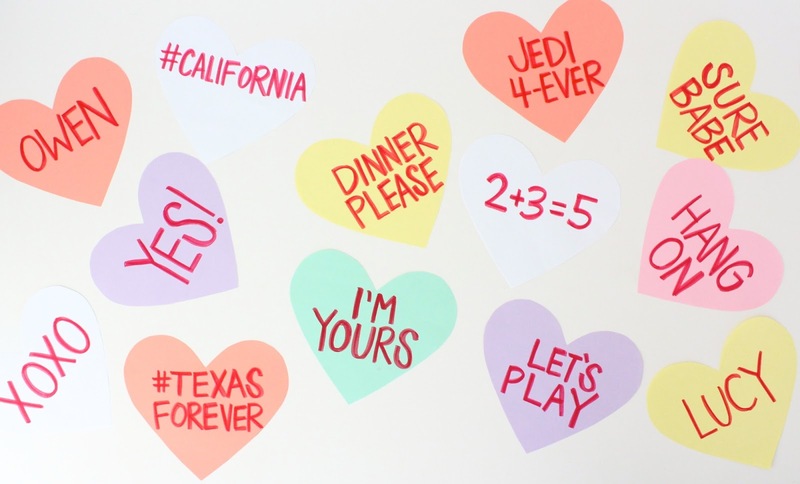 …because you probably love conversation hearts too! Actually, I love the look and idea of them. I don’t like to eat them. And I’ve often wondered if anyone really does eat them….till I met my husband and kids. So whether you like to eat them, read them, adore them, or juggle them?…Let’s decorate! And start a conversation! 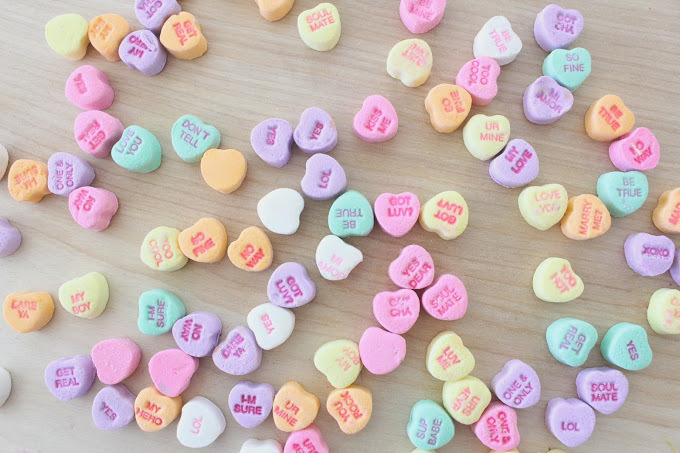 I have a hunch that the paper business is in cahoots with the candy factory….because it never dawned on me till now, that basic colored printer paper is the same color as conversation hearts! 1. I have everything I need for this project. 2. I can make this project every year till my kids are 20, because I have solid-colored paper and card stock oozing from my Billy Bookcases. 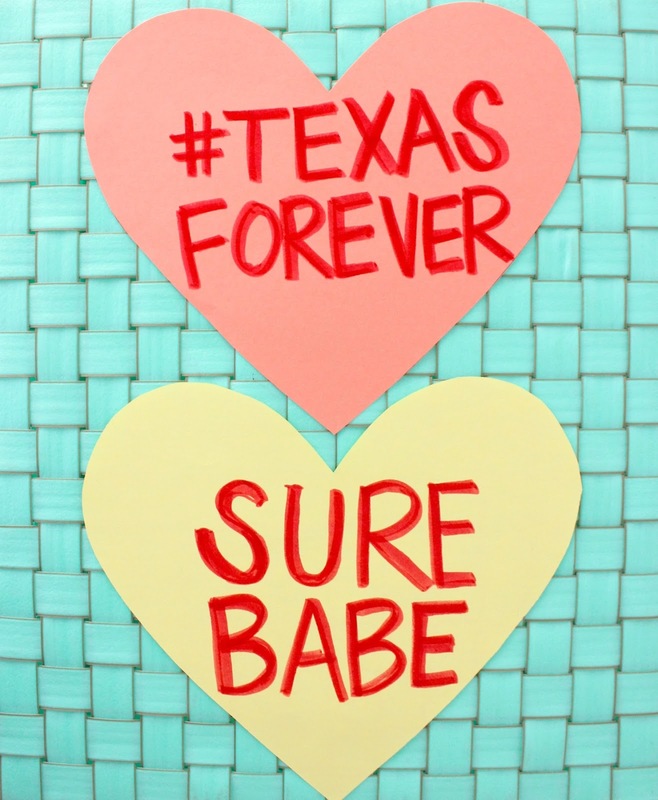 • Make the largest size heart you can on a piece of cardstock. Use this as your template. 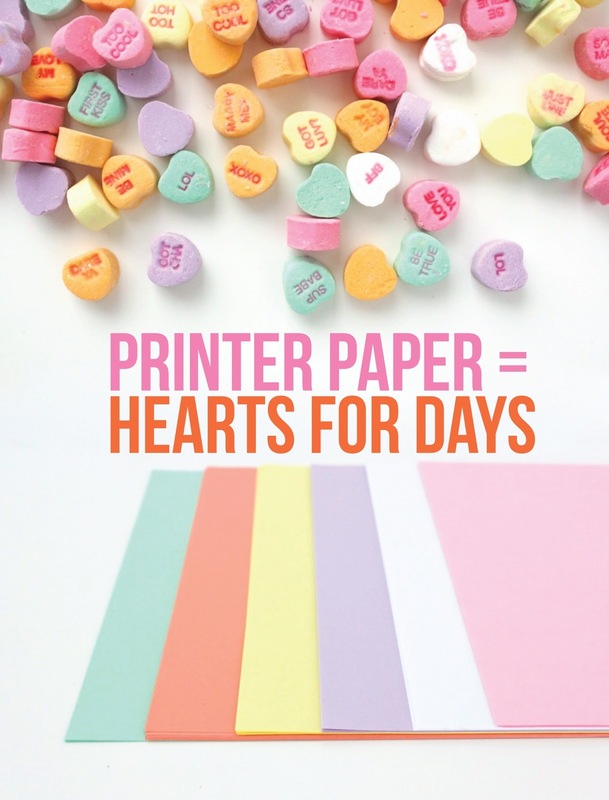 • Trace and cut out paper hearts from solid-colored printer paper (which you can buy at an office supply store for much cheaper than at a craft store). 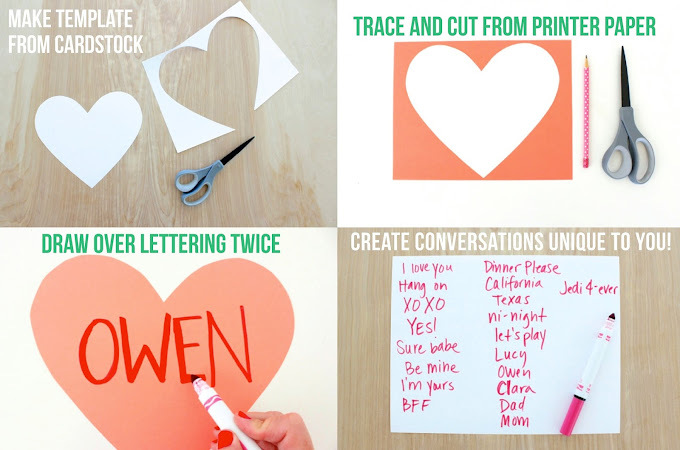 • Use a pink or red marker to handwrite block letters on each heart (markers are better than Sharpies here). You can always print from a printer as well….but using your hands is fun! And the trick to hand-lettering is to write it once and then go over it again to improve the font. Always add to it, rather than take-away. This is something we also learned at the Disney Animators class last month at Disneyland—which made me smile. If you make a mistake when illustrating a picture, don’t erase your lines, just keep adding to them till you get it just right. In other words, Make it work! 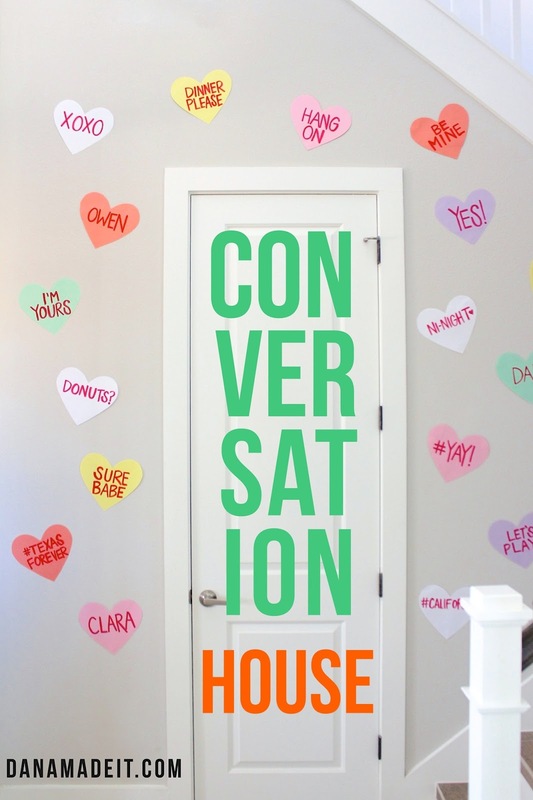 • Make the conversation unique to your house. I created a list of things we say around our house, and the people that live in our house, and used each person’s favorite color, etc. When you’re done, you’ve got a whole bunch of (non-edible) conversation hearts! All ready to decorate your house. And you know what I really loved most about this project?….using my hands, rather than the computer. It reminded me so much of being kid and making valentine’s for my brother’s and sisters. 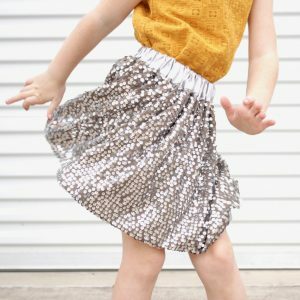 So get your kids make these with you! Then hang them up somewhere in your house (using basic transparent tape, in small rolls on the back of each heart) and you will LOVE the look! And remember to make the conversation unique to YOUR house. 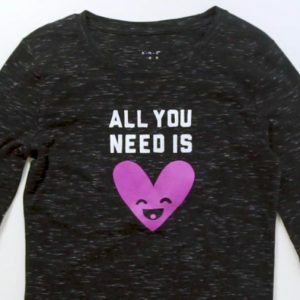 Our favorite thing that Clara has been saying for a year now is “Dee Dee Dee!” We have no idea what it means, and she’s actually stopped saying it as much, but the kids laughed when they saw that among the hearts. Even Clara laughs at it when she walks up the stairs. So there you go, simple heart decor from above and below. I’m just going to throw it in there that I do this only I put things I love about each kid, I “try” to put up a set every day until the 14th but sometimes I just hang a bunch at once. So, my conversation hearts say things like “Elsie is so good at making friends.” “I love Josiah’s smile.” “Nate is the best lego builder.” and “Cady is kind to her siblings.” The kids love to see what is special and unique about them. 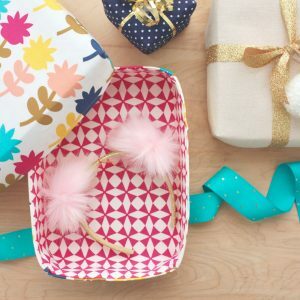 Very cute idea to do with my DD! Can you tell me the color of that gray on your walls???? I love this! 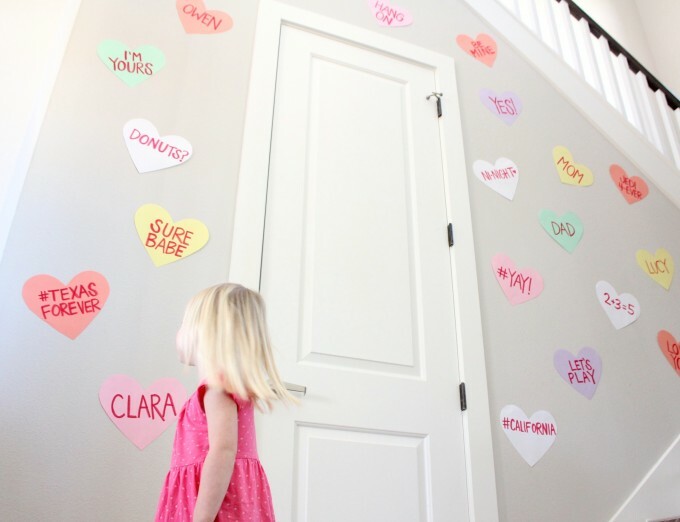 I totally need to add some to my walls, and l love the personalized idea Cary! Last year I had my kids make their own “conversation heart” garland with alphabet stamps. It was a super fun preschool activity! 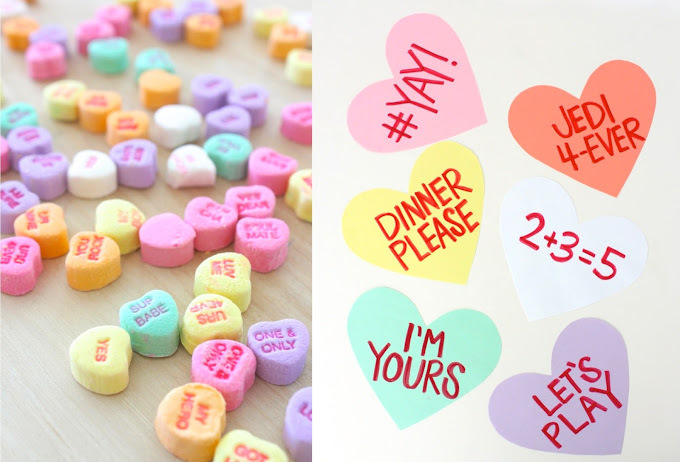 Mmmmm candy hearts. (The reason our jar of them has such old candy hearts is so I don’t raid it!) and now I want donuts too. Super cute! Love that pendant light with the blue on the inside, where is that from? Wow, how genius! I LOVE the look. TFS your smart and very useful idea. I like the idea of making them into a garland, we are not a tape on the wall people. My first thought was “when he’s older and can appreciate the messages” but I think this will be a nice project for my toddler too. Love this! I too can’t eat them but something about them just screams Valentines! My favorite Valentines craft to spruce up the walls every year is to do spin art hearts in my salad spinner. 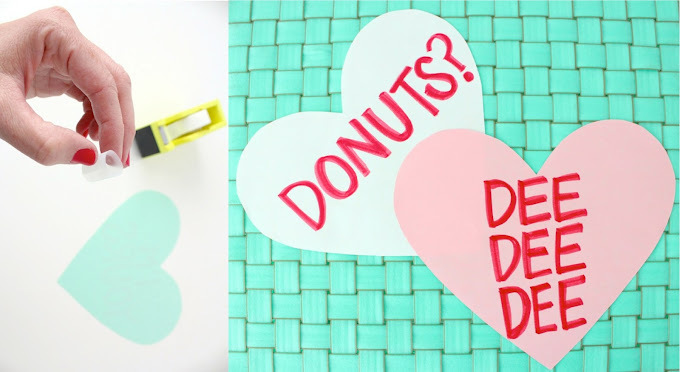 Cut out bunches of white hearts, kids pick paint colors, and we spin the heck out of them. What comes out is incredible exploding hearts full of color. All unique and abstract. A favorite for the kids and adults in our house. Then we display them just like you did here. I loved your idea and surprised my kids by making and putting them up after they went to sleep on the 13th. 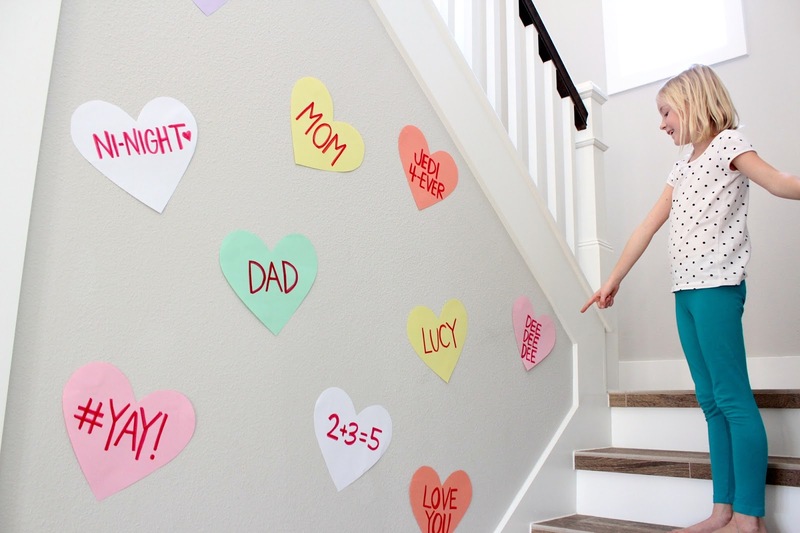 When they woke up and came into the kitchen, they were so surprised by all the hearts on the kitchen walls. My oldest (6) shouted “I get it! They’re conservation hearts!” “Yu mean conversation hearts?” “Yes!” Then she proceeded to read all of the, to her younger siblings. They were delighted that I put their names on some and inside jokes on others. Thanks for the awesome idea! I am going to leave them up for awhile because they Are so cute. Where is the amazing light fixture from??? ?